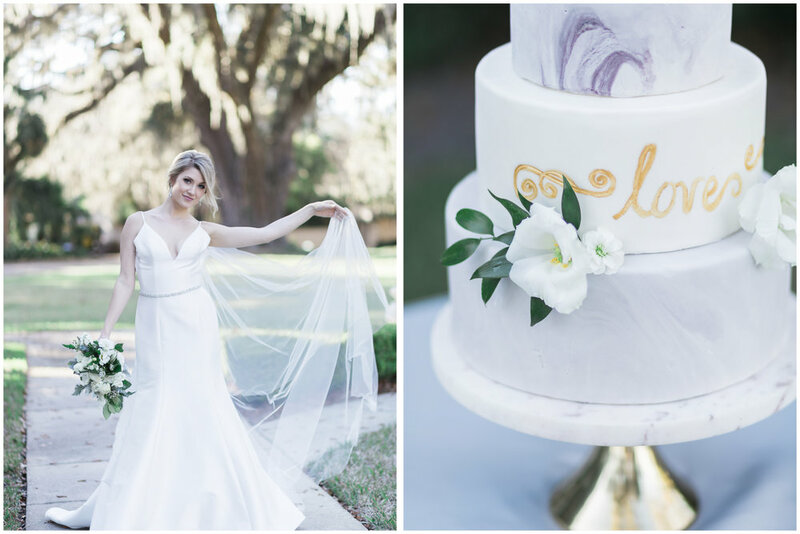 This Jacksonville, FL, styled shoot is for the bride who dreams of an elegant, timeless wedding that will look just as current in 30 years as it does today. We chose springtime in Florida, just after our short winter, when the grass regains its color and the blooms burst into life. 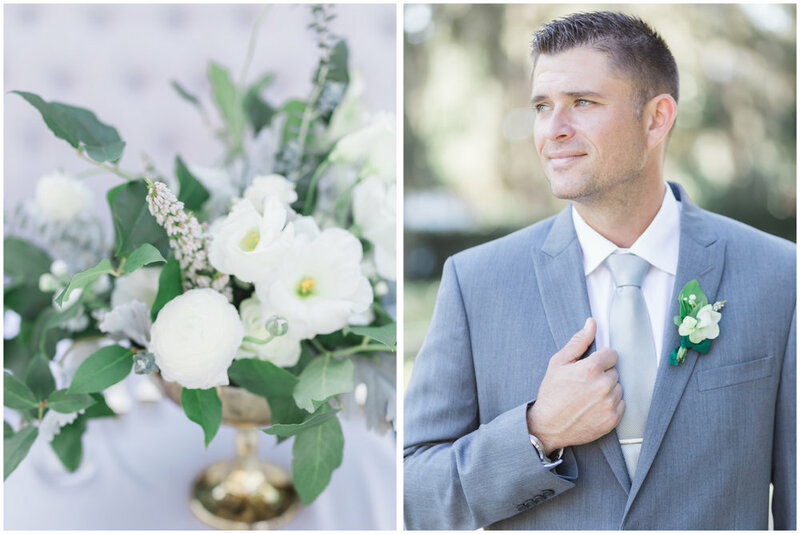 The mild temperatures, the sunshine, and the wind floating off the river combined beautifully for the perfect styled shoot. 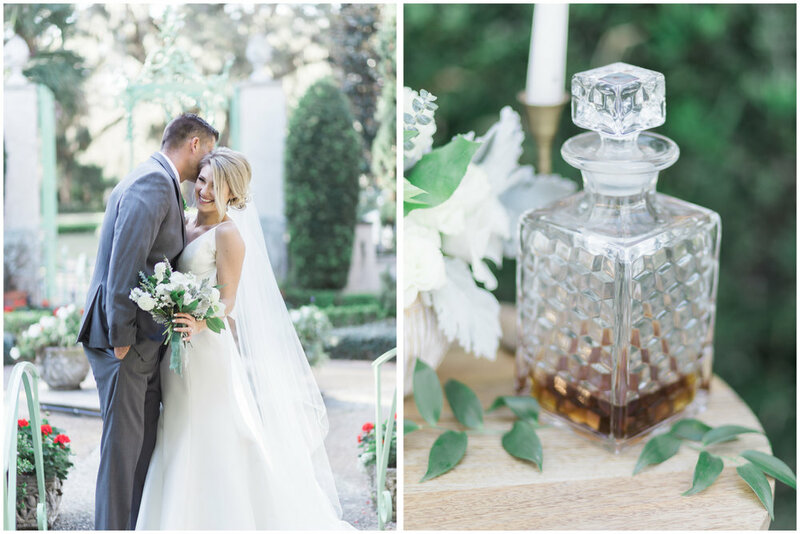 The Club Continental sits right on the river, surrounded by greenery, and boasts a courtyard covered in flowers. 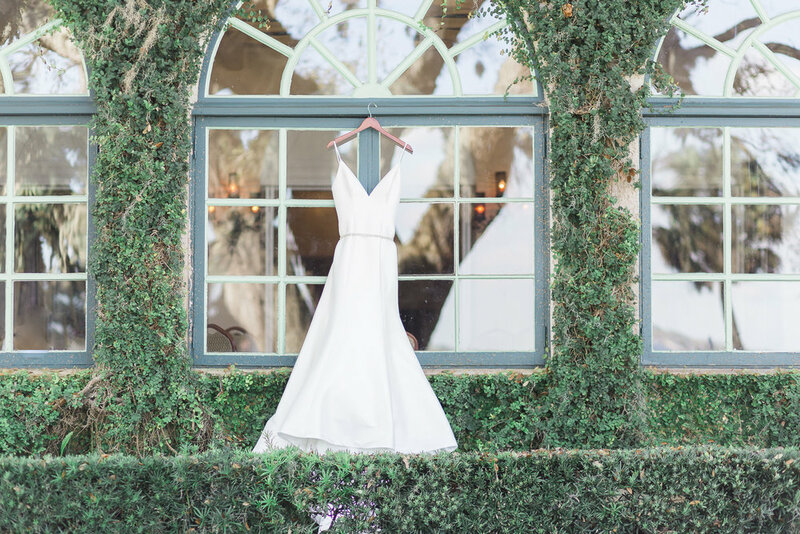 The gown was a stunning piece, simplistic yet elegant, provided by The White Magnolia. 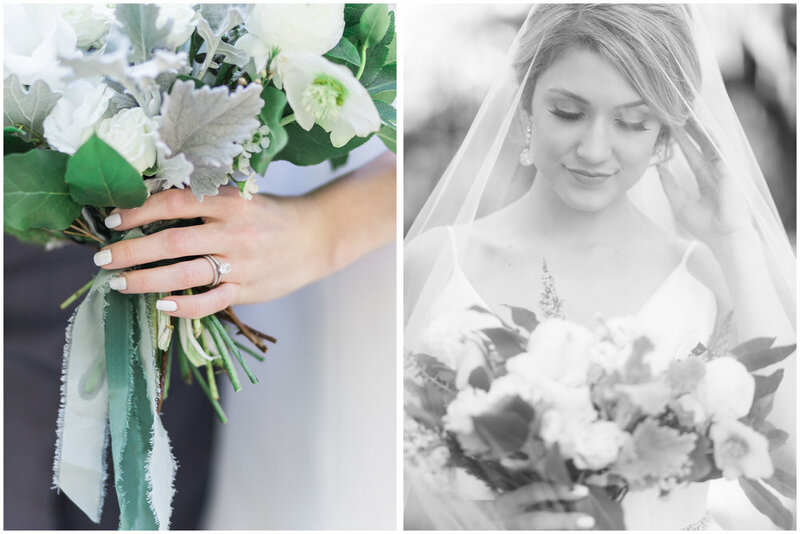 After a few added accessories for a touch of sparkle, our bride was dazzling. The florals, provided by Parker & Co. Florals and Design, both looked and smelled incredible, with the mix of spray roses, stock, and other beauties. 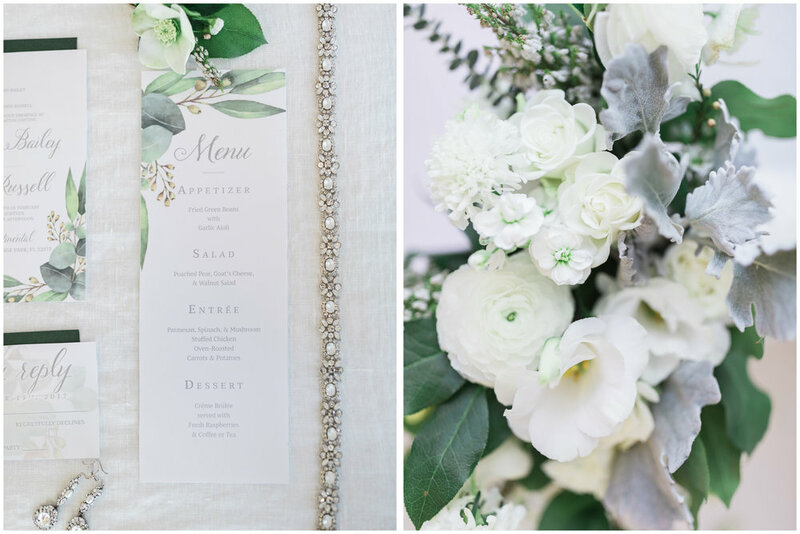 The rental decor beautifully complimented the cloudy-gray love seat and linens, and the table-scape shone brilliantly with gold-rimmed plates and matching silverware, sprinkled throughout with other metallic touches. We even had a bourbon bar for our groom. I thought this was the perfect touch of masculinity to offset the more feminine aesthetic. 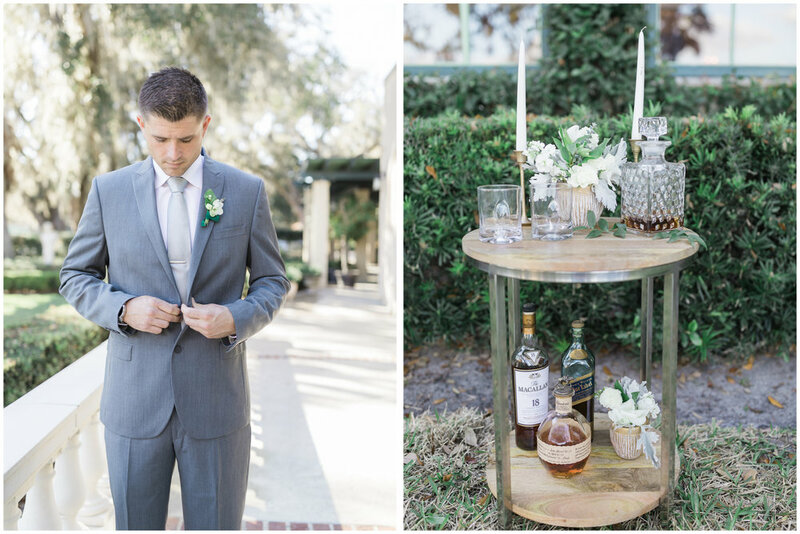 Many times, grooms struggle to find an area of the wedding or reception that they can plan on their own, but I believe this would be a perfect way to incorporate his interests into a wedding day. 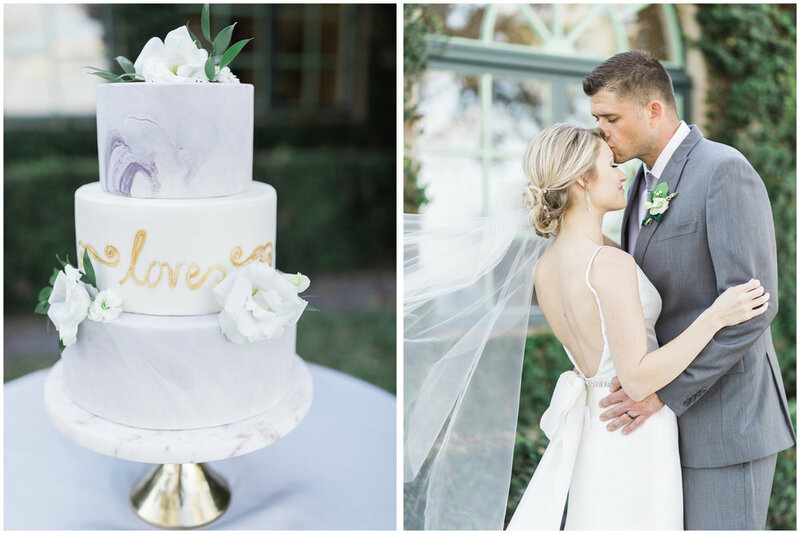 Marble cakes are certainly trending right now, and ours, with its white flowers and gold writing displayed atop a gold and marble cake stand, was definitely a showstopper. But the truly romantic magic of the photoshoot happened after the camera stopped clicking. 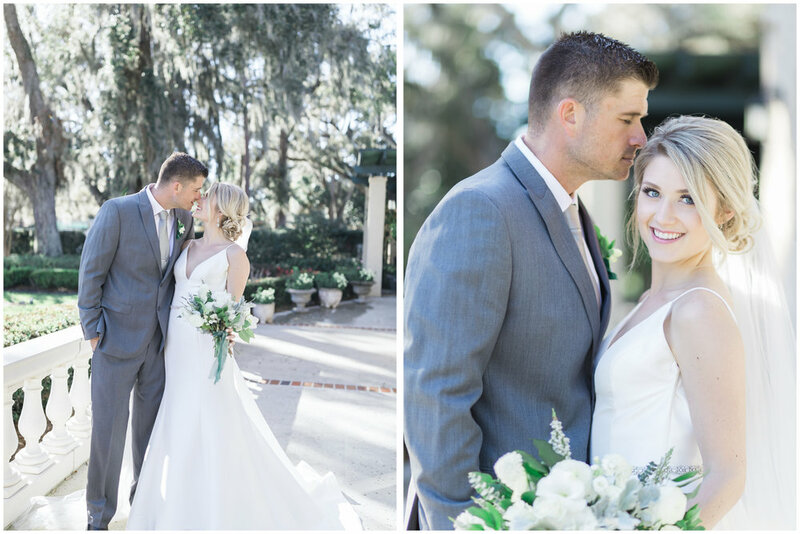 Our bride and groom models, Brittney and Ryan, are an actual couple that has been together for a year and a half. As the sun began to set, Ryan informed Brittney that they had dinner reservations downtown. 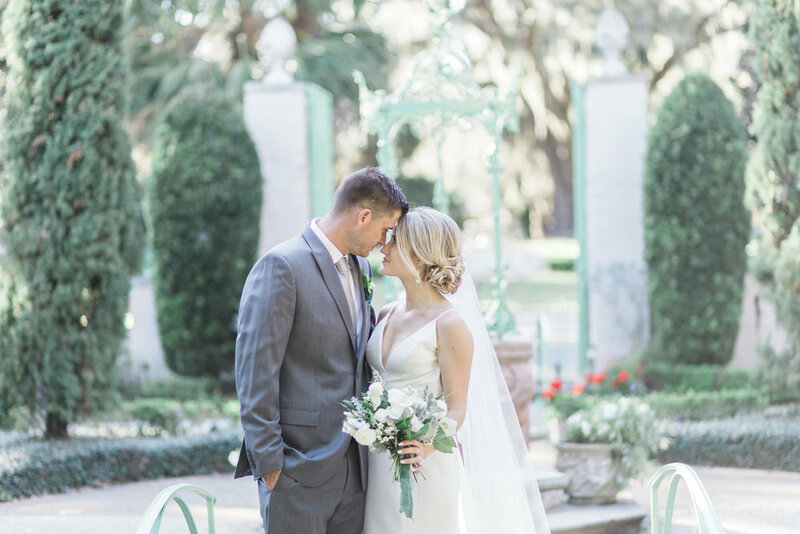 We hurried them on their way to enjoy their night and found out later that our model bride and groom would soon be planning a wedding of their own. Ryan proposed to Brittney, and she said yes!